Find tranquility by forest bathing in Sonoma County's abundant natural spaces. 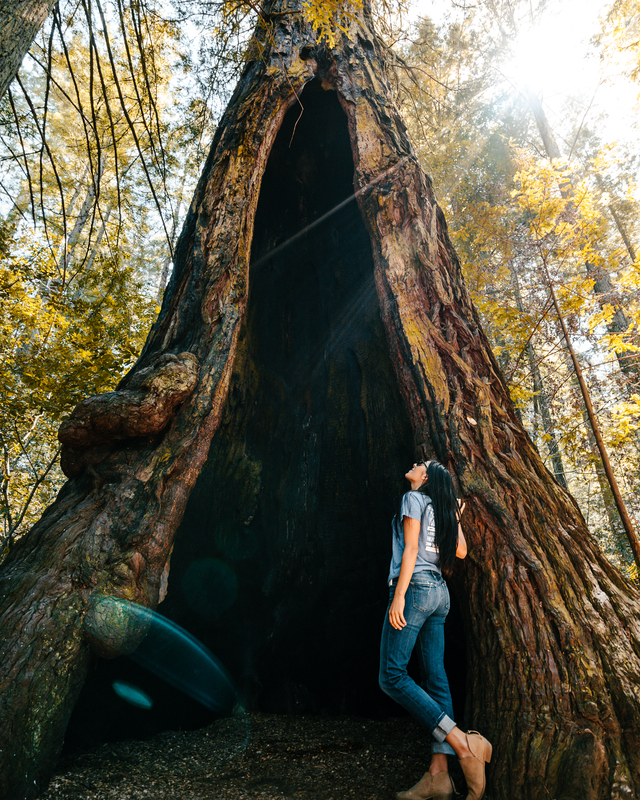 Find tranquility by forest bathing in Sonoma County's abundant natural spaces, such as Grove of the Old Trees. With over 60 state and regional parks and wilderness preserves, Sonoma County is a natural destination for forest bathing. Being surrounded by growing plants and steadfast trees can relieve stress and decrease anxiety, providing the perfect wellness getaway. More than just a walk in the woods, forest bathing is taking in the natural atmosphere and meditating while experiencing nature. The healthful benefits are immeasurable: reducing stress, lowering blood pressure, and boosting the immune system. So leave your technology behind, take your time, and find rejuvenation by simply wandering these verdant Sonoma County forests. A LandPaths project, the Grove of the Old Trees is tucked into the redwood-studded hills west of Occidental. Head out on the Bohemian Highway (perhaps picking up a loaf and a cappuccino from Wild Flour Bread if you're coming from Freestone) and take Coleman Valley Road to get to Fitzpatrick Lane, where this local secret is ensconced. The short trail that loops in, around, and between seemingly untouched pockets of redwoods and sprawling ferns gives one a sense of being truly away from the "real world." Grove of the Old Trees is Sonoma County's only privately-owned and operated preserve that is free and accessible to the public. 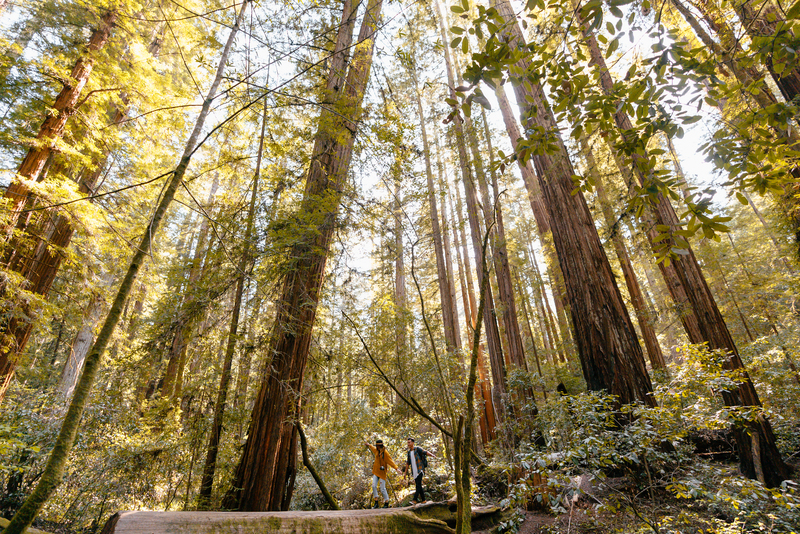 Its 33 acres of old growth redwoods make for a perfect place for painting, picnicking, or simply relaxing underneath the trees—and even inside of one. 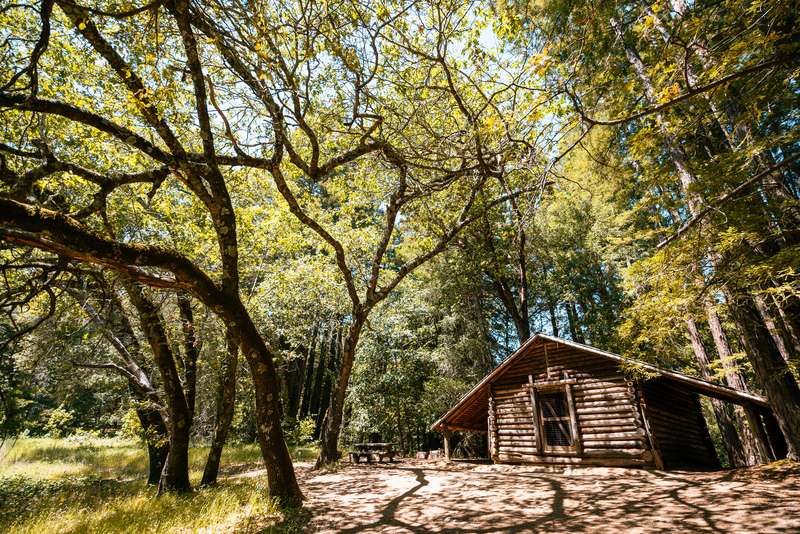 Visit the land London loved just outside of Glen Ellen and soak in the refreshing greenery while learning the fascinating history of this famous Sonoma County resident. After your hike, catch lunch at Les Pascals, fig cafe & wine bar, or Glen Ellen Star. This stunning trail near Jenner takes you from the waves to the redwoods, providing plenty of opportunities to revitalize under canopies of leaves and on carpets of redwood sorrel. To experience the best vistas, I recommend taking the trailhead at Shell Beach, following the Pomo Canyon Trail into the interior, and then taking the Red Hill Trail back. Factor in time to tackle the incline of the hills—and the numerous stops you'll be taking just to drink it all in. If a day hike just isn't enough, you can also hike in to the Pomo Canyon Environmental Campground and sleep under the trees. 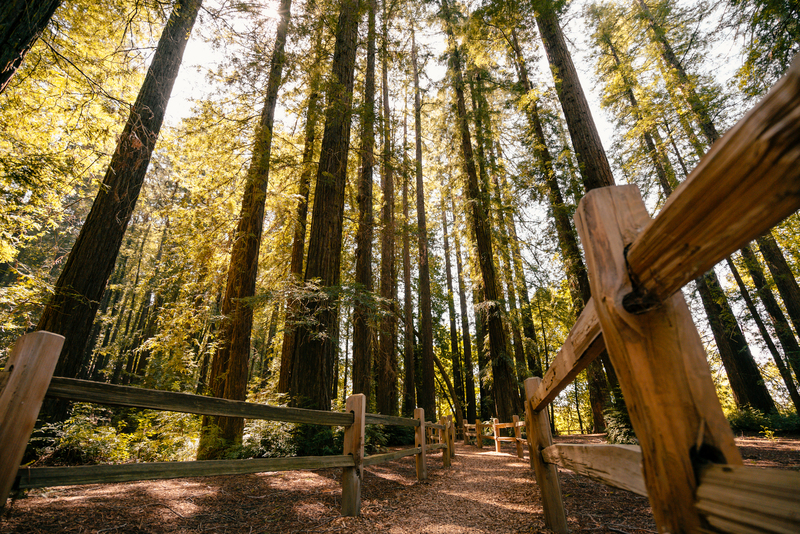 Just a few minutes west of Windsor, Riverfront Regional Park features a grove of redwoods situated on the banks of two small lakes, perfect for everything from hiking to kayaking, horsebackriding to fishing. Bring picnic supplies from Oliver's Market in Windsor or from Journeyman Meat Co. in nearby Healdsburg, and enjoy a languid afternoon in the shade by the water. 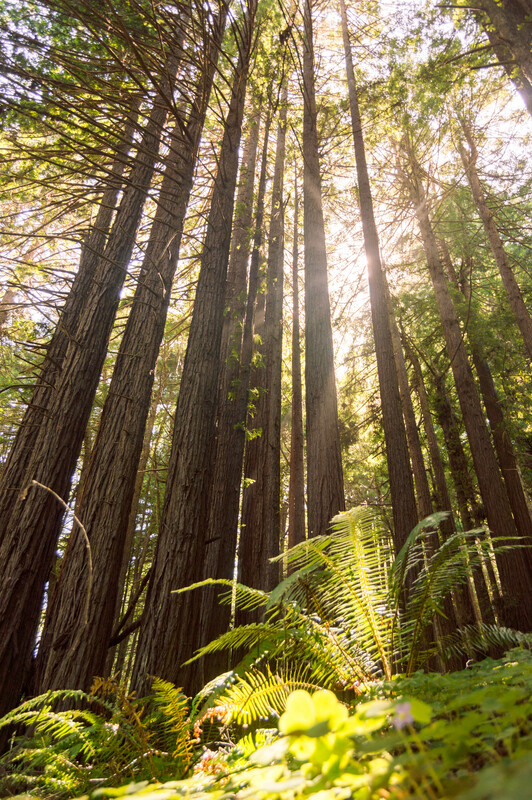 Perhaps the most renowned of Sonoma County's groves, the Armstrong Redwoods State Natural Reserve is located just north of Guerneville and features 805 acres of trees, some towering over 300 feet tall. Walk back in time as you stroll past trees that are older than the Western-style printing press and one even as old as the Tang Dynasty. Head to Big Bottom Market, boon eat + drink, or The Farmhand afterwards for some refreshment after your forest recharge. Be sure to tag us on Instagram and share your own Sonoma County forest bathing experience!